So you have a Samsung Galaxy S7 and you’d like to use it with Straight Talk Wireless. Well in most cases you can if you sign up for one of Straight Talk’s Bring Your Own Phone or BYOP plans. Here is what you need to know about using your Galaxy S7. Most people that want to bring their Samsung Galaxy S7 to Straight Talk Wireless originally bought and used their phone with either AT&T, Verizon, T-Mobile or Sprint. When you sign up for Straight Talk Wireless your phone will be placed on either Straight Talk’s AT&T, Verizon, T-Mobile or Sprint networks. Most people choose the matching network for their Samsung Galaxy S7 when they sign up for Straight Talk. To best serve BYOP customers as well as offer nation wide cellular service across the US, Straight Talk uses the AT&T, Verizon, T-Mobile, and Sprint networks. When you sign up, your phone will use one of these four networks. 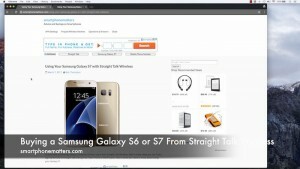 While this article is about bringing your own Samsung Galaxy S7 to Straight Talk, you can also buy one directly from Straight Talk too. See Shop for Samsung Galaxy S phones directly from Straight Talk! 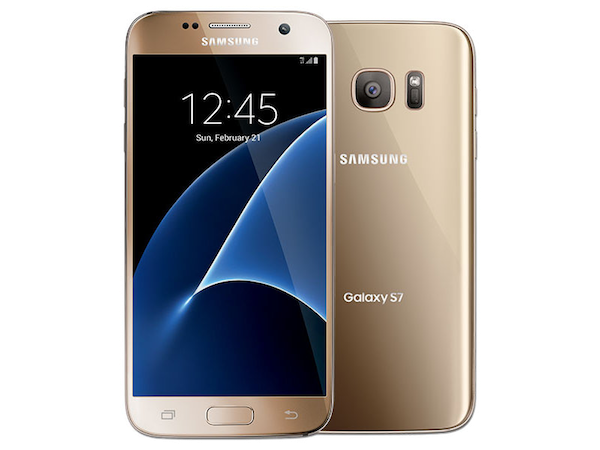 For most BYOP customers bringing a Galaxy S7 from AT&T, Verizon, T-Mobile, or Sprint choosing the matching Straight Talk network is the best option because your phone is fully compatible with that network and that network should have coverage in your area. Your AT&T S7 works with Straight Talk’s AT&T network. The phone does not need to be unlocked. Your T-Mobile S7 works with Straight Talk’s T-Mobile network. The phone does not need to be unlocked. To use your Verizon S7 with Straight Talk’s network, you’ll have to check your phone’s serial number or MEID to make sure the phone is compatible. By compatible Straight Talk means that they are able to register the serial number of your S7 on their Verizon network. All Verizon Galaxy S7 phones were sold unlocked. To use your Sprint S7 with Straight Talk’s Sprint network, you’ll have to check your IMEI / MEID (serial number) with Straight Talk to make sure your phone is compatible. You’ll also need to have the Sprint SIM card that came with your Galaxy S7. By compatible Straight Talk means that they are able to register the serial number of your S7 on their Sprint network. Your phone does not need to be unlocked. Not everybody with an AT&T, Verizon, T-Mobile Galaxy S7 wants to use the phone with the matching Straight Talk network. For example, maybe you bought a used Verizon S7 or someone gave you a phone but you prefer the AT&T network because it have better coverage in your area. In some cases, the Galaxy S7 model from one carrier is fully or partially compatible with one or more of the other cellular networks too. Your SM-G930A is fully compatible with Straight Talk’s T-Mobile network supporting 3 of the 3 LTE Bands T-Mobile uses. The phone only supports 1 of the 2 3.5G Bands however but shouldn’t be a big deal. The SM-G930A needs to be unlocked to use it with Straight Talk’s T-Mobile network. The SM-G930A is not compatible with Straight Talk’s Verizon or Straight Talk’s Sprint network. Your SM-G930T is partially compatible with Straight Talk’s AT&T network supporting 2 of the 4 LTE Bands AT&T uses. The SM-G930T does support all the 2,2.5,3G, and 4G bands used by AT&T. The SM-G930T needs to be unlocked to use it with Straight Talk’s AT&T network. The SM-G930T needs to be unlocked to use it with Straight Talk’s AT&T network. The SM-G930T is not compatible with Straight Talk’s Verizon or Straight Talk’s Sprint network. Your SM-G930V is partially compatible with Straight Talk’s AT&T network. It supports 2 out of the 4 LTE Bands used by AT&T. It is fully compatible with all the 2G, 2.5G, 3G, and 3.5G bands used by AT&T. Your SM-G930V is also partially compatible with Straight Talk’s T-Mobile network. It supports 2 of the 3 LTE bands used by T-Mobile. It supports all of the 2G bands used by T-Mobile and 1 or 2 3G and 3.5G Bands. The SM-G930V is already unlocked. Technically, the SM-G930V is fully compatible with the Sprint network. However, to use it with Straight Talk’s Sprint network requires a Sprint SIM card and checking the MEID / IMEI to see if the phone is eligible for Straight Talk’s Sprint network so it’s unlikely you could be it to work. The SM-G930P is fully compatible with Straight Talk’s Verizon network. Check your S7’s MEID / IMEI to see if the phone can be registered on Straight Talk’s Verizon network. I see this is an old post, I’m not sure if you are still answering questions or not, if so I have a quick one for you. whatever I need to do where I could use it on either an AT&T or Verizon Straight talk plan. 1. Check with Sprint to see if the phone is unlocked or if they will unlock it. 5. You’ll need to order a SIM ST Verizon nano SIM. Straight Talk, might activate the phone on the Sprint network. They used to. You’d need your Sprint SIM. You can check eligibility just like in step 4. I am unable to use my new straight talk account on my samsung galaxy s7. I contacted straight talk and my account is good with them. Do I need to unlock something on my phone to allow it to be completely activated? Could you provide more details? What is the model number of your phone? Are you using the ST ATT, Verizon, T-Mobile SIM? What exactly is happening with your phone? Did you transfer a number from another service? Hard to say, without any details…. How about a SM-G930U? We have it set up with at&t towers, but the service is terrible. Is it possible to switch to Verizon? Would it just require purchasing a new phone card? According to frequency check the phone is 100% compatible with the Verizon network. https://www.frequencycheck.com/carrier-compatibility/OOLKtj/samsung-sm-g930u-galaxy-s7-td-lte-samsung-hero/verizon-wireless-united-states. To switch you need to make sure the phone is eligible and you’ll need a ST Verizon SIM. There may be software differences between your phone and the Verizon version too. The Verizon model gets updates from Verizon, yours gets them from Samsung. I wouldn’t be too concerned by the last part. If you have a friend that uses Verizon, try their SIM in your phone and see how well it works. Hi, I just bought a SM-G930A unlocked from ebay. It is due here tomorrow. I plan on using it on straight talk network. Is it fully compatible with 4g lte. I am a little confused by reading the article. I am afraid it wont be able to use 4glte. thanks. Looks like the phone supports AT&T and T-Mobile networks, but not CDMA so not Verizon or Sprint networks..